Part researcher and part public personality, announcers and disc jockeys—or DJs— use writing skills and a pleasant speaking voice to share news and information with the public. Broadcast announcers and radio DJs present music or the news and comment on important current events. Announcers who host talk shows usually research and discuss issues with guests and audience members in a subject such as politics, personal finance, sports, or health. Announcers and DJs schedule guests for their shows, maintain a social media presence to encourage a following, and develop other creative content such as contests and events. They also give updates on weather and traffic conditions. Some work as sports team announcers, party DJs, and event MCs, providing background information and entertaining the audience or detailing the event as it unfolds for the listening audience. Broadcast announcers and radio disc jockeys usually work full-time schedules in soundproof studios. Shows are usually recorded during the day for later broadcast or podcasts, but some announcers broadcast live, and may work late night hours, weekends or holidays. Deadlines and tight work schedules are common in these fields. 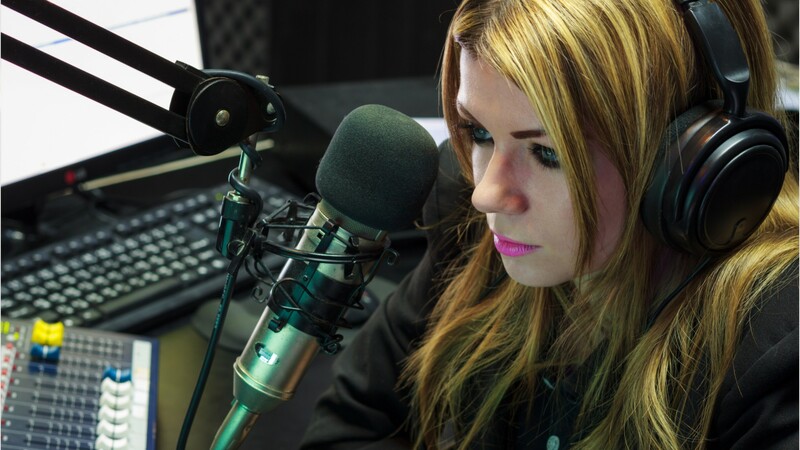 Broadcast announcers and radio DJs typically need a bachelor’s degree in journalism, broadcasting, or communications to enter the field, but some jobs may not emphasize educational requirements. They typically need previous experience gained from internships or from working at a college radio or television station. See more details at O*NET OnLine about radio and television announcers. Radio & Television Announcers by U.S. Department of Labor, Employment and Training Administration is licensed under a Creative Commons Attribution 4.0 International License.